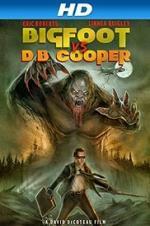 Buy or Rent Bigfoot vs. D.B. Cooper (2014) Movie DVD & BluRay Online! Movie Plot: When several young hunters arrive at a secluded lodge in the Pacific Northwest little do they know that they will become the hunted.